Two weekends ago, the Ottawa Geek Market and the Capital Gaming Expo merged to celebrate their Ottawa Geek Market Origins event. While the Capital Gaming Expo portion is mostly concerned with - you guessed it - gaming, the Geek Market brings the comic book/anime/horror/sci-fi/steampunk fandom to the mix and supports a strong cosplay presence. Never wanting to miss an opportunity to add to this webzine (and DC comics fandom), I attended hoping to snap a few photos of DC comics cosplayers and maybe chat with a few other DC fans who may be attending. Unfortunately, there wasn't much DC comics love (80s or otherwise) at this celebration of "Geekery"*. I didn't see one single DC cosplayer. Nada. (It's been speculated that, since Batman vs Superman tanked at the box office, DC cosplay may not be too popular until the new Suicide Squad film being released in August.) 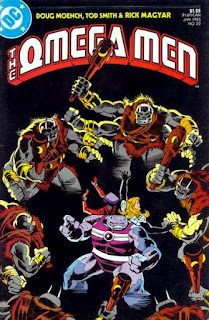 On the gaming side, the only DC comics representation I found was in a game called Dicemasters played by a few young men killing time between gaming tournaments [more on Dicemasters some other day]. 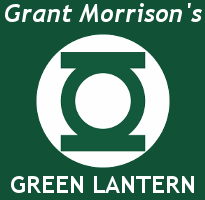 Deterred to reach out to ANY sort of DC fandom, I decided to take a longer look at the Geek Market side again and maybe chat with a few comic book vendors to see if they had anything to say about the state of comics in general. I was really reaching here. And then I met Mike Martin of Dark Age Comics. ...and THAT'S when I knew the afternoon had been worth it. That's when I KNEW that I NEEDED to interview Mike Martin. 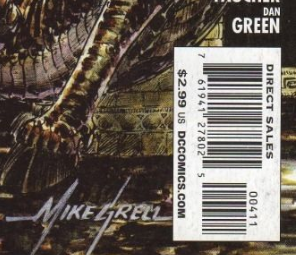 To put this in context - Mike had been in the comic book distribution business before, during AND after the big comic book boom of the 90s. I take a very personal interest in the 'comic book boom & crash' of the 90s because, to me, I've often compared it to the California Gold Rush of the 1848. And by that, I mean that thanks to comic book speculation being at an all time peak (and seemingly not enough supply to keep up with the demand), everyone who ever dreamed of opening a comic book shop was suddenly scraping up enough money to do just that. Almost overnight, three comic book shops popped up in my small suburban municipality. Everyone was getting in on comic book collecting! The hype was at an all-time high! Don't get me wrong, comic books were never as 'cool' as they are today - but for a young comic book fan like me, I suddenly had more options on where I could spend my allowance. It was a great time. And then it all fell apart. And Mike was there for it all - and is still going today. I was also extremely curious about his memories/anecdotes regarding sales of the late 80s/early 90s DC comics. What sold? What didn't? What was the general comic book collecting atmosphere like? Most of the people I talk to about that era weren't living it from a comic vendor's perspective - hence, I was VERY interested in hearing from Mike. Before we get into this, I just want to point out that in 1991 the population of Ottawa, Ontario was sitting around 678,000 [in comparison to the more densely populated Greater Toronto Area (4,200,000 people) and Greater Montreal (3,100,000 people)]. Also, please note that these sales stats do not represent what the rest of North America was buying - it's merely more of an idea of what was selling in our 'neck of the woods'. "I was working part-time at a comic book store in 1987, and when they decided to close their doors, I called their wholesaler and said "listen, there's people here who want to buy". My plan, as a kid, was to open my own comic book store and I asked them "what do I do to make that happen?" and they told me "go get a vendor's permit and we'll sell to you". It was very easy to get into the industry back then because the industry wasn't as big as it is today. 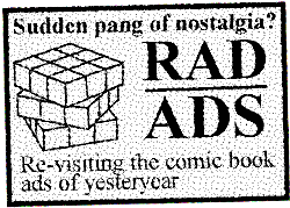 They needed outlets to sell the comics - the internet wasn't really well-known then and there were no online comic book shops or sites like e-bay. So any location they could get, they were up for it. So it just kind of started that way. I started this when I was in high school. I got into this a few year before I actually wanted to start the business - but I ran with it - it's fine." "Back before the crash there used to be many distributors that we all purchased from, before everything changed and then Diamond was the only one left. My first distributor was out of Toronto called Andromeda. The shops I dealt with liked the idea of selling comics as it went hand-in-hand with other merchandise they sold in the existing stores, but did not have the knowledge of which items to order so that's where I came in. I was also ordering at a higher discount tier and was able to provide them a lower price point." "I remember when the first few graphic novels** came out and people would literally be running away saying "Please, keep that away from me - that's not a REAL comic book", whereas today it is the accepted medium - it is the MORE accepted medium than the traditional comic book. All the new readers coming in are reading graphic novel format vs comics. It's only the older generation that are reading the singles [apparently single issues are now colloquially known as 'floppies'. how about that?] - back issue collectors are also an older crowd for sure." "In the shops I dealt with - which were video store & hockey card stores - comic book were not the primary product, so we played it 'safe' and primarily sold mainstream comics (ex: Marvel, DC, Image & Dark Horse). We stocked few comics outside of those 4 companies. This is a major contrast to the diversity of comic companies today that are being purchased by many people, as all comics today seem to be accepted as mainstream - so anything goes." "Back then, I had nobody that was actually buying any of the independent stuff from us. We had a couple of Aircel, a couple of Mirage, a couple of Eclipse and whatnot. Marvel had an 'off' line called Epic and with all the shops we were supplying we sold like, one or two. Most of the shops we did consignment - and you don't want to put up stuff you're going to get stuck with. So it was very limited independent presence compared to today. You know, right now in the last 5 years, Image has taken over so much market from Marvel and DC... I think Marvel and DC are actually going "what are we doing wrong and what are they doing right?". Marvel and DC have been the BIG TWO for years and Image is now - really even back in the 90s, when Image was really being hyped, they were not a threat to Marvel. It was just a sort of 'flash in the pan' and everyone in the industry kinda knew it - whereas Image today is actually gaining major major storm." "I learned early not to speculate demand on titles in order not to carry high inventory. We had 17 shops we supplied and they bought all NEW product from us, but I would guarantee the sale. If it didn't sell, I would take it back and essentially move it to another store so that way no shop got stuck with any excess volume." "Marvel was the one that started the boom in 1989/1990 with comic book professionals like Todd McFarlane, Jim Lee, Rob Liefeld, Erik Larsen and such on key books. In 1991 they all started getting their own regular titles under Marvel for popular characters. McFarlane coming hot off Amazing Spider-Man and Jim Lee starting a brand-new X-Men series were pretty important moments.... and yes, about 11 different X-Men related titles were in comic book shops at the time: X-Force, Cable, Excalibur and so on. And these were the books that started selling 6 millions copies each issue." 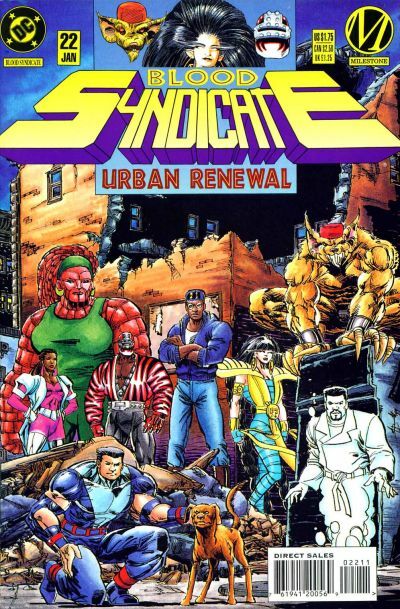 "Not to be left out of the comic book mass production market, another company also hit the market in 1991: Jim Shooter's Valiant Comics." "Finally, in 1993, DC got their kick at the can and had huge success with the Death of Superman and Knightfall (which ran solid for both characters for about 2 years strong). These were my biggest sellers over the 3-4 year boom, mainly because Superman and Batman had been around since the late 30s and they were practically household names. When the media started announcing on the news that Superman was dead it just drove even more people to any store they could find comics in." "We had our heyday in the early 90s. Currently, I've been doing this for almost 30 years now. Back in the early 90s I was wholesaling, so the margins were extremely slim (as a wholesaler), but you made some good money in the 90s. I do not think I ever saw any store doing that well or at least they never flaunted it. My favorite comic book store to this day is the Comic Book Shoppe on Merivale st (in Ottawa, Ontario). He has grown over the years into an amazing store." "At my peak, I was supplying comic books to 17 different comic book shops. They were all in Ontario - mainly all in Ottawa and a few small towns outside of Ottawa." 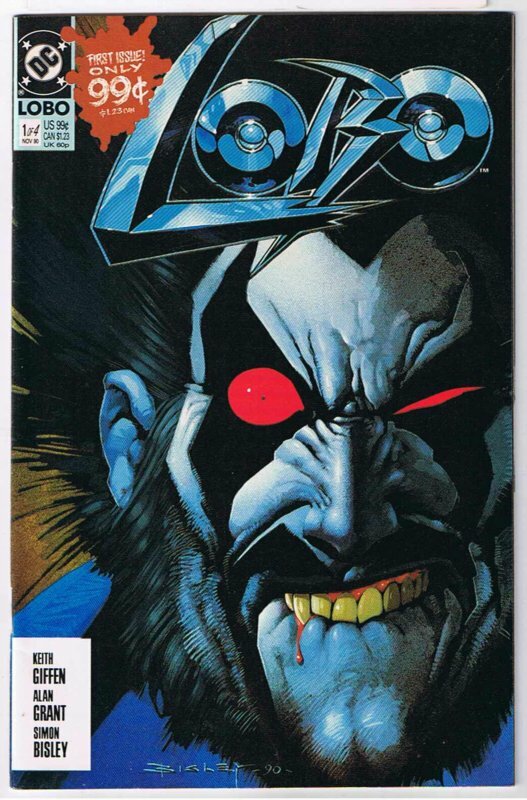 "Most of the comic book merchandise started coming out late 90s after the boom. 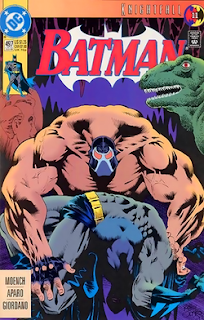 There were a few posters/statues/trading cards which we sold in the early 90s, but that was a small part of the industry compared to today - where I think merchandising brings in more revenue in sales than actual comic books printed on paper. I'm drawing this conclusion based on all the merchandise sold in comic stores, novelty stores and even the 'big box' stores like Wal-Mart." DC in the 80s: Did you ever foresee any indications that the comic book market was going to crash? "In 1997-98, though the market fell out and most of the books printed from 91-95 were at that point worthless, the comic book price guides had not yet caught up to real time numbers just yet. A few years later prices were adjust to reflect the lower value. 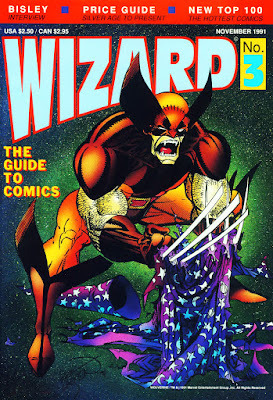 What was interesting during the high boom period is there was a publication called Wizard Magazine that was putting out a monthly price guide and stole much of the sales from the long time Overstreet Price Guide who also used to do monthly price guides back then. Wizard eventually closed their doors near the late 90's. The reason I mention them is that there were rumors after they closed that they had been strong supporters for Image and Valiant and had been overstating value for their books which was driving speculation and contributing to those 6 million copies being sold. It was after they closed that the market readjusted the value of the books. What is interesting today is that all those books those comic book shops were trying to get rid of years ago at pennies on the dollar are now the same books people are looking for today to collect for nostalgia's sake. Thankfully, at least today they are selling for a few dollars each rather than a few cents." "When the market collapsed, a bunch of the other wholesalers that were out there started diversifying into different products; one guy got into selling posters only, another guy just started selling board games only, another guy just got into selling comic book supplies to try and survive. Meanwhile they had all this inventory lying around, so I actually approached my competitors and started buying their inventory at liquidated prices. This was after 1997 - the comic book industry died in '97. We were picking up all the hot books of the 90s - y'know, they were printing 6 million copies - and I was buying these books for five and ten cents EACH. I was then unloading these in dollar stores across the Ontario region." "I think, in general, that they helped in the long run. They got more people into the hobby - perhaps for the wrong reason (comic speculating), but I think all people buying these comics started to eventually read what they bought. The comic book price guide in the back of Wizard Magazine ultimately became what we all used in the industry - it got to the point that Overstreet stopped putting out their monthly magazine. Now Overstreet just publishes the "Bible" that comes out once a year (which is what we all use as dealers today), but I know there are now many online sources that dealers will use throughout the year to determine what's currently trending." "The tail end of Valiant and Image, after the market collapse, had lots of titles - as stores were still ordering 100's of copies of #1 issues - but the original hot talent was no longer making them so they simply were not selling as well. From DC Comics, the one line that they really tried hard to push but simply did NOT sell was Milestone comics. Still today, 20 years later, there is no demand for ANY of these (unlike the other titles from that time period that people are looking for). You simply never know as a publisher or store owner what is going to be hot and sell well. It's a roll of the dice every time." "Marvel and DC were big sellers in the late 80s. 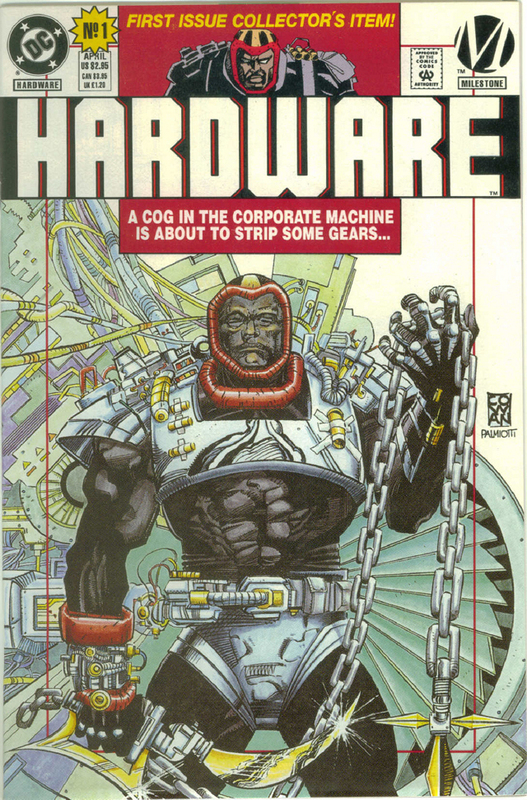 Image & Valiant jumped in around 1992 and made a huge splash in the industry and gave Marvel and DC a run for their money. From 1991 to 1994 we saw super-high print runs (i.e. upwards of 6 million copies per month) of Spider-Man, Superman or any new Image titles released that month. Even with those numbers, books were still selling out and we could NOT restock some issues. I know that DC was doing 2nd & 3rd prints on Batman and Superman books - the other companies never bothered with reprints, which is why their books shot up higher in value at the time. Pretty much all books from those years are worth less than $2 these days simply due to the high volume printed. Just for context, today's largest print run is less than 250 thousand per month." "Amazing Spider-Man and Batman have always been the top 2. 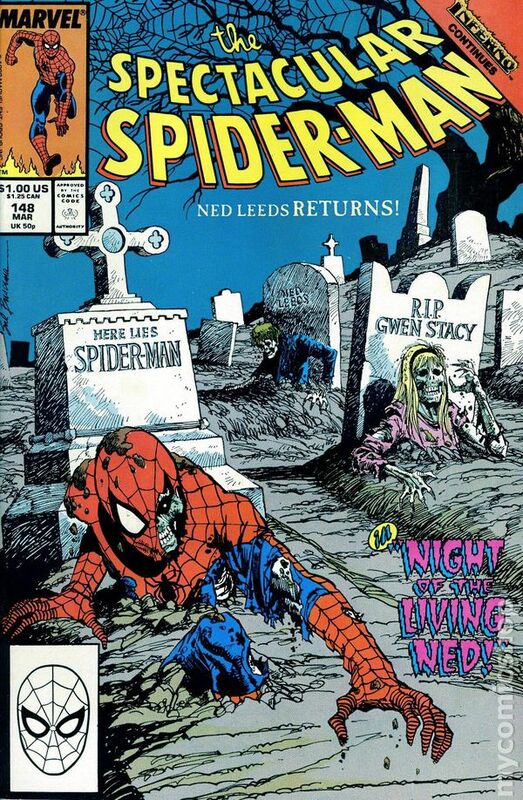 Recently back issues of Spectacular Spider-Man are very popular right now. You do get people following the new TV shows and the movies and there's a little 'flash in the pan' for a little bit and people will start jumping on just to try - again I find they are grabbing the TPB reprints - because I find the people that watch the movies and that watch the TV shows are NOT the people that collect comic books - they're the more casual readers and this is where the TPBs are an awesome medium for them. So that's what tends to happen: when those movies and TV shows come out, we get an ordering spike on TPBs for those characters, but not so much the back issues or the singles." "The sale of trade paper backs (TPBs) and graphic novels (GNs) by DC and Marvel is a very good move as it allows fans to pick up copies of a comic book they never ordinarily would have if it was only available as a back issue, but it has slowed down the back issue market. Are you going to spend $10 to buy Punisher #1 (1987), or are you just going to buy the TPB that reprints THAT issue as well as the rest of the issues in the series (at full color) for $20? It's mainly the older readers who are back issue buyers, they are going back trying to complete their runs. Young readers do just that - they read, they don't collect anymore. The comic book market has now shifted toward 'readers' as opposed to 'collectors'. The desirability of back issues also depends on the length of the run: a series that's 600+ issues is very daunting for a collector to collect. Meanwhile, a series that has recently been rebooted has less desirability, as a collector will start collecting from that rebooted first issue, so current back issues seem more sought after than older ones in most cases. As previously mentioned, Amazing Spider-Man was one of my top sellers - but then the prices on individual back issues got too high - so now the collector favorite is Spectacular Spider-Man." "What has changed in the last three decades is that back in the 1980s there were less titles on the shelves, so readers or collectors had to search for back issues if they simply wanted to read or collect more. Now with all the options we have (i.e. TPBs, digital comics, etc), you can really read what you want versus whatever was available in back issue bins back then. Also, the prices for books today (in contrast to 30 years ago) can make it hard to collect back issues (as opposed to just keeping up with the new issues). 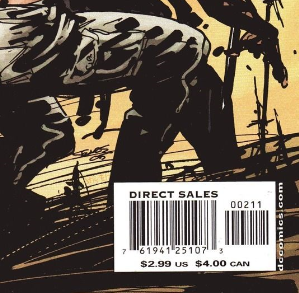 That is another thing that makes graphic novels great: the cheap price. The industry, in the last 3-4 years, is actually seeing a growth in back issues sales (which is nice to see again). The most popular sales have been primarily with 1st appearances of anyone, as the price guides keep reporting how the prices on these issues are climbing and the speculator market continues to chase down those books." Finally, I concluded by quizzing Mike on a bunch of 'monumental' events in DC's publishing history. I realize that since Mike ran a distribution business, and was not on the 'front lines' manning a comic book shop, that he may not have had much interaction with customers to hear how they were feeling about a particular event/publication. However, since Mike has was responsible for fulfilling orders, he could probably surmise what fans were feeling based on sales. 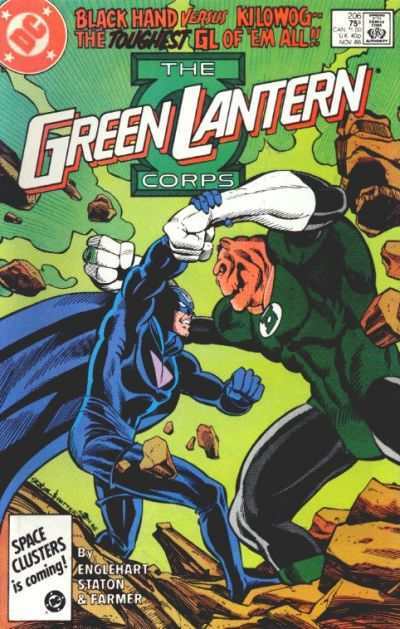 "I was not in business when this came out but do remember it being well received for cleaning up the DC Universe." "I remember reading this title back at the time. Byrne's reboot is actually what put Superman back on my collecting list. 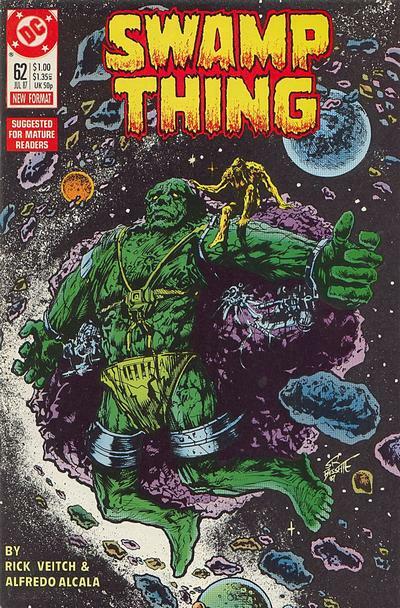 When I was young I did the typically thing most young people do - you read a couple issues and then you understand this whole 'collecting aspect' and then you realize "oh my God, there's 500 issues of this series prior to this issue that I'm holding? I'm never going to get them all, I'm not going to collect this title!". As you get a little bit older you become more of a reader and the numbering doesn't matter, but as a young person you're very influenced by that. 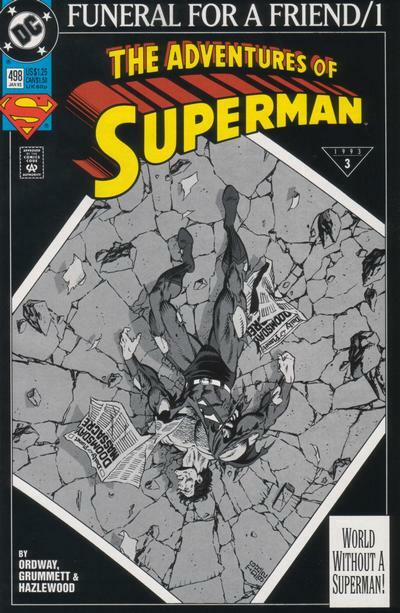 so when Byrne took over it was a #1 and that's what basically started me collecting Superman again on a regular basis." "1987-1989 in my opinion was the beginning of the big boom with titles such as these. Well received with lots of speculation." "Gaiman's Sandman, Moore/Veitch's Swamp Thing, Delano's Hellblazer, Morrison/Milligan's Animal Man and Morrison/Pollack's Doom Patrol were something new outside the 'regular superhero box' and the industry was striving in the late 80/early 90 to spin that 'comics were not just for kids'. It was well-received and you can still see the proof today." "These were never a big seller for us." "One of the first times, if I recall correctly, that back issues prices started moving drastically up outside the usual rarity or first appearance aspect." 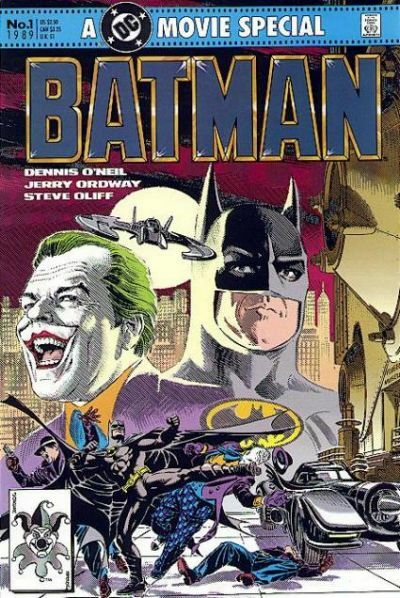 "Price on Batman back issues continued to soar and sales were booming back then!" "We used to sell - and remember, we supplied 17 stores - a total of 3 Superman comics per week and then Superman died in 1992/1993 and all of a sudden we were selling two thousand per week." "DC comics (mainly Batman & Superman) with their multi cross-over stories (which ran through multiple books and lasted about 6-12 months) drove up sales, but eventually became too long and people would then stop everything. Like they say 'too much of something is not a good thing' I suppose. 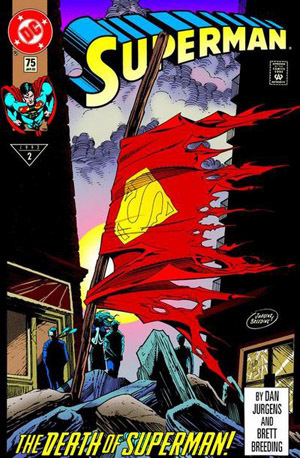 Death of Superman and Knightfall/KnightsEnd were the high point, but then in 1993-1995 we saw things slowing down for everyone." DC in the 80s: "I'll bet you have a massive comic book collection at home..."
Mike Martin: "Guilty as charged, I've been reading since I was 5 and do not plan to stop. Marvel and DC's main "core" titles are my favorites, but I do read others like Image's The Walking Dead and We Stand on Guard, and Vertigo's Y the Last Man every so often just to mix it up. It also helps as it also allows me to give a personal opinion when people are asking for recommendations." To conclude, I want to thank Mike Martin for being so patient and answering my questions with such great detail and depth. I really don't think he realized what he was getting into - his reply to the first e-mail I sent him was "Hi Justin, wow lots of questions". Once again, you can check out Mike's company at Dark Age Comics. *I don't want to get into the schematics of it, but I'm not really a fan of labeling anyone who's into any type of fandom as a "Geek". Hence the quotes around the word. **Mike clarified that by 'graphic novels' he actually meant reprints of older material and not Graphic Novels such as DC's Me and Joe Priest or The Hunger Dogs (original material). Mike remembers the latter selling decently. FYI: Wizard Magazine actually lasted until March 2011 (235 issues total, plus some specials), though its heyday was the mid-to-late 1990s. I agree that its price guide added a lot of fuel to the speculation fire, but the magazine did feature some good articles along the way.